Diersing Electric is known throughout Orange County, CA for bringing experienced, highly skilled electricians to industrial projects. 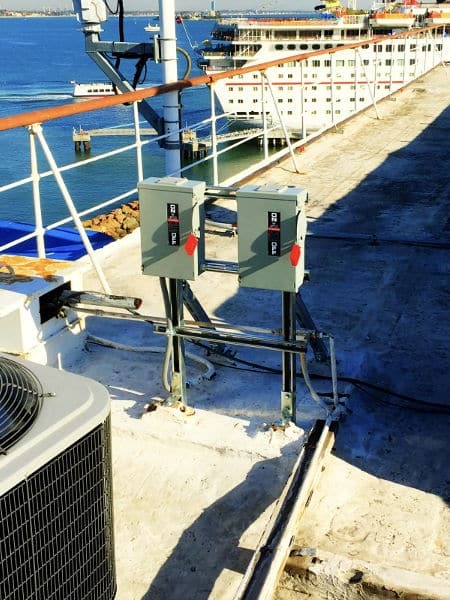 Diersing’s electricians have worked for The Queen Mary in Long Beach, CA, the Los Angeles Department of Water & Power, the Los Angeles City Fire Department, and many other industrial clients. Diersing Electric operates under a C-10 electrical contractor’s license, in good standing with the California State Contractors Licensing Board, and our electricians are insured, bonded, and background-checked, and take workplace safety seriously. Call Diersing Electric at 714-749-5871. Visa, MasterCard, American Express, Discover. We provide electrical services to residential, commercial, and industrial clients in Anaheim and throughout Orange County, California.